SAVE UP TO £220 ON NORMAL PRICING! Entry level Fiesta ST180 tuning does not get any more powerful than this perfectly priced MAXD Out Stage 1r Ultimate Power Kit. The parts work in total harmony with each other to create a perfectly safe, powerful and totally reliable car that anyone can drive as a daily to work or even on track. The addition of the R-Sport Intercooler allows the Induction Charge to remain cool whilst on load, and allows more flow than the Stock OE Intercooler. 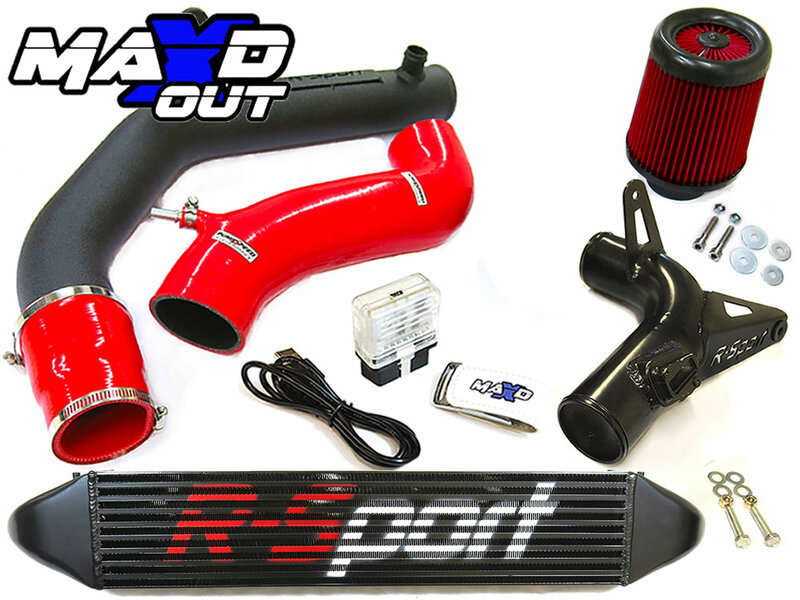 - The Full R-Sport Stage 3 Intake kit. The parts once added will transform the car with some beautifully smooth mid range torque and power at higher revs that will surprise many a fast car owner. Trust in the Pumaspeed Brands and create a perfectly balanced and MOT emmision friendly pocket rocket! The Pumaspeed Workshop team are ready to fit the *SPECIAL OFFER * MAXD Out Stage 1 Ultimate Package - 245bhp in our Head Office located here. Therefore making parts and labour a total cost £793.60 (inc. VAT). Pumaspeed have a specialist distribution team that can dispatch the *SPECIAL OFFER * MAXD Out Stage 1 Ultimate Package - 245bhp to any destination worldwide.